In our increasingly image-saturated world, Carmen Chan‘s photographs feel like a breath of fresh air. Before settling in Los Angeles, the photographer worked in New York City and Hong Kong, refining her aesthetic and her voice across the fashion and editorial world. While tackling projects for major brands and publications, she sets herself apart with her effortlessly clean and natural style. Her approach to color and form results in images that feel breezy, uncluttered, and full of energy, and she has a way of tapping into the most authentic aspects of her subjects, whether they’re models and celebrities or interiors and cities. As a leader in her field, Chan understands the importance of carving out a better future for other artists, and she’s not afraid to speak up about the need for more diversity in the industry. Today, the award-winning photographer has established herself as a force to be reckoned with, both as an artist and a businessperson, landing coveted assignments and supporting her peers along the way. 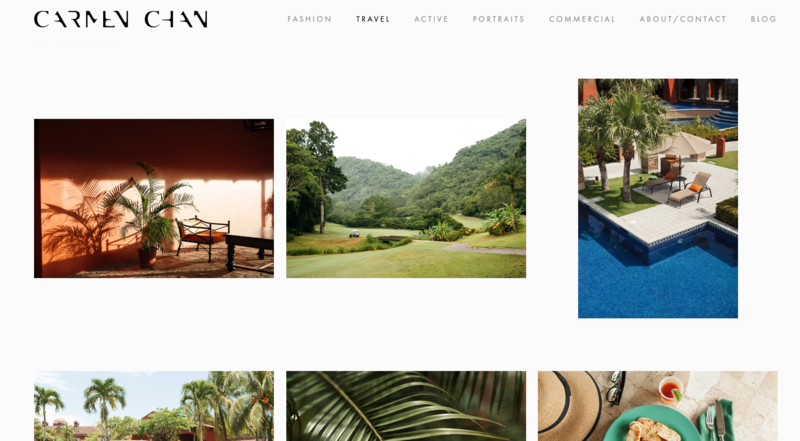 Chan’s Squarespace website reveals an eye that is at once modern and classic, whether you’re browsing her travel journal or a collection of her intimate portraits. 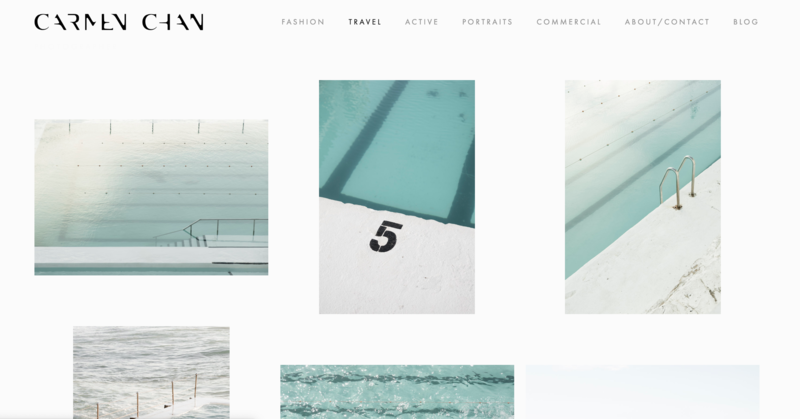 She also created a blog to take us behind-the-scenes on some of her shoots and a quarterly newsletter to keep clients and followers informed about new projects. We talked to Chan about her online presence, her favorite kinds of projects, and her advice for emerging photographers who hope to follow in her footsteps. Why is it important for you to have a website of your own, outside of social media? What stood out to you about Squarespace as a website builder? Why did you choose it when you set out to create a website? Tell us about your website design. All of the photos on your website are impeccable. What does your curation process look like? 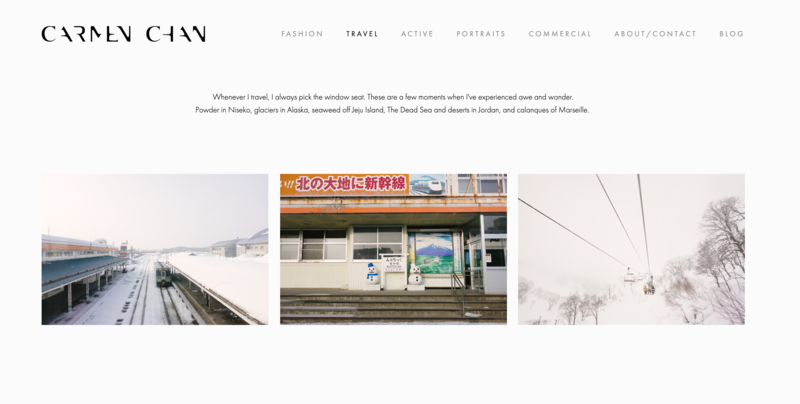 Why did you decide to set up your own blog as part of your domain? In your eyes, what makes a great portrait, in terms of subject, atmosphere, and everything in between? What do you look for when deciding whether or not to collaborate with a brand? What kinds of companies and assignments excite you the most? “I look for whether the brand is serving a space that I want to contribute to and support. It’s important that the client’s brief is in line with my style and my specialties and that they understand the value in hiring someone specialized so that they receive the best images possible. What’s the difference between shooting in the studio versus working at major events like New York Fashion Week? How do you maintain your clean, intimate style when you have little control of what’s going on around you? How much of a role do you play in some of your bigger productions? What’s it like collaborating with talent, makeup artists, stylists, etc.? How do you ensure that all your shoots have your “signature” attached to them? In other words, we consume so many images per day, and yet your photos are instantly recognizable. What defines a Carmen Chan photograph? How has Los Angeles, and the artist community there, helped you grow and evolve as a photographer? Any important lessons this city has taught you? You’ve been outspoken about the need for recognizing more diverse voices within the photo industry. What moments have given you hope that we’re heading in the right direction, and conversely, what still disappoints you about the lack of diversity in photography? “Moments that give me hope include the firsts that have happened recently–like the Vogue and Rolling Stone covers being photographed by people of color for the first time–and seeing more editors hiring women to photograph covers and portfolios that feature stories about women. I also look forward to the newsletters from Women Photograph and seeing all the incredible work that women are creating. Conversely, the A1 Lead Photo Byline statistics for printed news are still quite depressing – the average in 2018 depending on the publication was 8-41%. What business tips would you give to emerging photographers who want to branch out on their own? 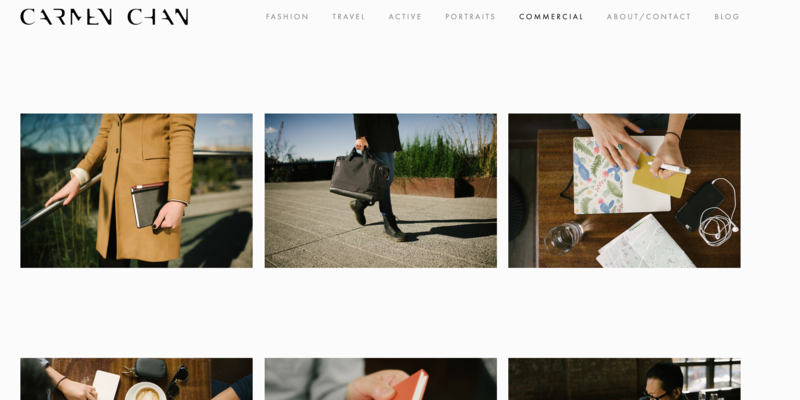 Get started with your Squarespace website today and use the code FEATURESHOOT to get 10% off your first purchase.